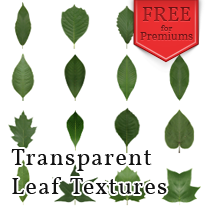 This material pack contains 28 transparent leaf textures to add to your SketchUp materials library. Registered members can download a set containing 5 samples. To install into your SketchUp Library you will need to unzip and add the folder as a collection.